We will take you on a Journey of Amazing and Magical India. 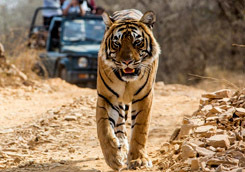 Explore Holidays Tours have designed the Itinerary for you to discover Wild Life of India with a Most Popular Tourist Circuit of India in a Single Tour known as Golden Triangle Wildlife Tour. 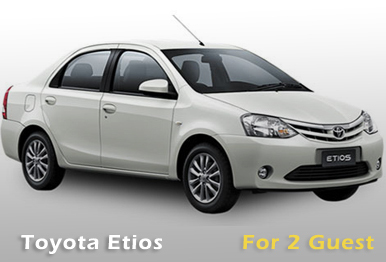 This Tour begins from National Capital City of India, Covering Delhi, Agra, Ranthambore, Jaipur and Tour end in Delhi. 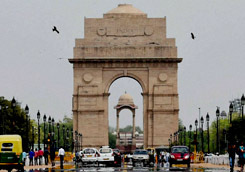 In this 5 Days 4 Nights Tour you will discover the Delhi. It is the National Capital City of India which was shifted from Calcutta to Delhi during British Raj in 1911 by King George. It is said the city remained Center and Capitals of Different Empires. 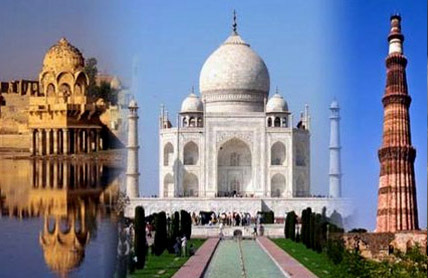 Agra is the second destination in this tour. Agra City is situated on the Banks of river Yamuna is a home to one of the wonders of the world Beautiful & Magical Taj Mahal. Ranthambore is the Third destination in this Tour. Ranthambore is the fortieth largest National Park Situated in the Sawai Madhopur district of Rajasthan. Ranthambore Tiger Reserve covers an area of 392 km2. It became the National Reserve Park in 1980. You can see the Bengal Tigers in Natural forest Habitat. Besides the Tiger you can see Indian Leopard, Nilgai, with Sloth Bear, Sambar and many more. Overall this sanctuary is a home to a wide variety of Birds, Plants, tree and reptiles. 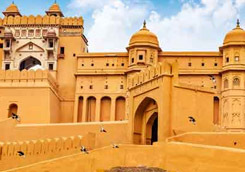 Jaipur comes as the last destination to explore in this Tour. 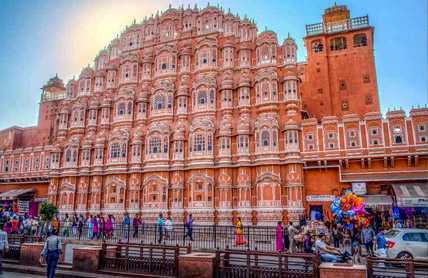 Jaipur is the Capital City of Rajasthan also known as The Pink City of India. Jaipur is very famous for its Palaces and Forts lies in the Aravalli range of mountains. You can see the Fusion of Hindu and Mughal architecture in the monuments of the city. Outline Itinerary: Explore Delhi, Agra, Ranthambore and Jaipur in 5 Days 4 Nights. Delhi Site Seeing: Presidential Estate, India Gate, Humayun Tomb, Jama Masjid, Lotus Temple. Agra Site Seeing: Taj Mahal & Agra Fort. Ranthambore Site Seeing: Reach Ranthambore and check into Hotel for overnight stay. Early Morning goes for Tiger Safari and come back to Hotel for Breakfast and rest. Again in Afternoon go for another Tiger Safari come back to a hotel in the evening, Over Night stay at Hotel. Next Morning proceed for Jaipur. Pick up from Airport/ Hotel/ any place of your stay in Delhi, Noida, Gurugram and visit Rashtrapati Bhavan, India Gate, Humayun Tomb, Jama Masjid and Lotus Temple. 01.20 Hrs Buffet Lunch at Restaurant. 2.20 Hrs. After Lunch drive to Agra for the overnight stay. 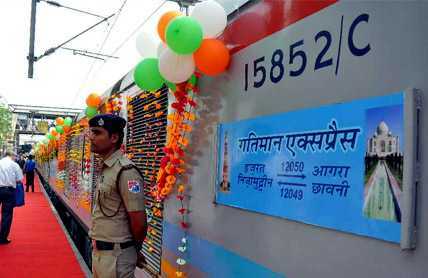 We will take one of the fastest freeway between Delhi and Agra.Yamuna Express Way Journey of 03 hours to reach Agra. 5.20 Hrs. Reaching Agra check into your Hotel for the overnight stay at Agra. Two major attractions of Agra City are Taj Mahal & Agra Fort. Magnificent Taj Mahal looks in complete different color during Sun Rise. To escape the usual crowd we prefer the Sunrise Tour of Beautiful Taj Mahal for you. Taj Mahal took 22 years to built by Emperor Shahjahan for his beloved wife Arjumand Bano Begum. 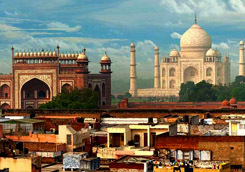 After visiting Taj Mahal return back to your Hotel for breakfast and check out. 9.30 Hrs. After Check out from the Hotel Visit Badalgarh Fort Popular as Agra Fort one of the UNESCO site. Agra Fort served as the main residence for Mughals until the year 1638 AD. The Fort is built of Red Sandstone in 1565 Akbar started the renovation of this Fort. 10.31 Hrs. After Agra Fort proceeds to Ranthambore. We will Start from Agra for Wildlife Tour to see Bengal Tigers at Ranthambore, 06 hours Journey. 1.31 Hrs. We will take a Break at Countryside restaurant For Buffet Lunch. Upon Reaching at Ranthambore check into Hotel for the overnight stay. Early Morning goes for Tiger Safari and come back to Hotel for Breakfast and rest. Again in Afternoon go for another Tiger Safari come back to a hotel in the evening for the overnight stay at your Hotel. In Morning after Breakfast proceed to Jaipur and on the way before Jaipur Visit Abhaneri Stepwell. 10.00 Hrs. Abhaneri is a Village in Dausa district Established by the Gurjar Pratihar King Samrat Mihir Bhoj and is famous for one of the Beautiful and Deepest Step Well Chand Baoli. This step well is consisting of thirteen stories over 3500 Steps built in 800 CE. 01.10 Hrs Reaching upon Jaipur check into Hotel. After Check in and freshen up get ready for Half Day Sight Seeing of Jaipur. Visit City Palace former Seat of the Head of the Kachwaha Rajput Clan, Here you can see the Private Collection of Maharaja of Jaipur. On walking distance visit Jantar Mantar an Observatory. It is a Collection of nineteen astronomical instruments to see the Largest Sun Dial of the world. Half Day Sight Seeing and drive back to Jaipur Hotel for the overnight stay. 07.00 Hrs. After Breakfast check out from the Hotel and proceed to Hawa Mahal. 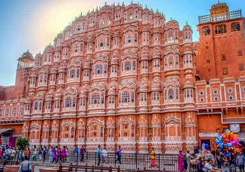 Hawa Mahal with its five-storey exterior is a masterpiece of honeycomb of a beehive consisting of 953 small windows to observe the everyday life & Festivals by the Ladies of Royal Family. Later visit the major attraction of Jaipur Amber Fort with Elephant ride. This Fort was built by Raja Man Singh in 1592 AD. After Amber Fort proceed to Jal Mahal called as Water Palace. At the end of Jaipur Site Seeing proceed for Buffet Lunch. 01.30 Hrs. Proceed for Buffet Lunch at a nice restaurant. 02.30 Hrs. After the Jaipur Sight Seeing proceeds to Delhi in Chauffeur Driven AC Car. 05.00 Hrs. We will stop on the way to a Restaurant for refreshments so freshen up and again continue towards Delhi. 08.00 Hrs. On arrival at Delhi you will be dropped off to Delhi Airport/ Hotel/ any place of your stay in Gurugram, Noida & NCR. 1- Recommended timings, if you like you can change it according to your convenience. 2- This is only a suggested itinerary. 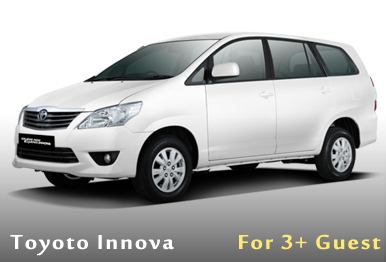 We can customize it according to your flight arrival and departure schedule or as per your schedule. 3- Taj Mahal remains closed on Friday. 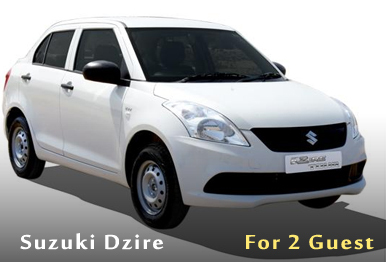 Pick Up from Delhi Airport /Noida/ Gurugram or anywhere in Delhi NCR. Guide Services for the entire tour activity. Chauffeur Driven AC Car for the entire tour activity along with the water bottles. All Kinds of Applicable Taxes. © 2017 | Explore Holidays Tours, All Rights Reserved.